On a hot July evening, coming in from the west, heading east, I drove down into the southern flatlands of New Mexico. The sun was a scorching, melting ball of fire on the horizon, I was exhausted (having driven 12 hours already) and the dog was snoring in the backseat while the cat would mew in occasional, but futile protest. We came up over a hill on 1-10 and in front of me was the little town of Las Cruces, NM. The late evening light bathed it in an unreal purplish haze, the city shadowed by the nearby mountains while the sun disappeared in a blaze of orange. I remember thinking to myself “I have never seen light look like this” as I descended into the city and to my motel room for the night. A month and a half earlier I had driven through from east to west, with my fifteen year old nephew. It was already dark and we were hot and tired as we deposited the dog and cat in the hotel room and got dinner. The next morning, as I loaded the car I watched as the sun came up over the mountains. My nephew, noticing the scenery walked away from the car with the dog to get a better look. He stood and stared in silence at the mountains and the sun, transfixed, for several minutes as it gleamed over the ragged peaks. Even the dog seemed to be staring up, following the emergence of the light over the mountains from her decidedly close position to the ground. “This is the most beautiful place” my nephew said. 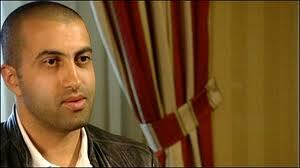 I remarked to him “Of course it is, this is the land of the gods according to the native peoples. Father Sky and Mother Earth.” He nodded and lifted the dog into the car. 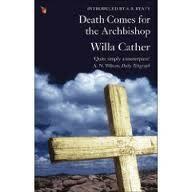 Today’s book is Death Comes For the Archbishop by Willa Cather. This is one of the great American classics, that for some, unfathomable reason, I had never read. I am glad, though, that I waited this long to read it, for I think I understand it better as an adult than I would have if I had read it when I was younger. 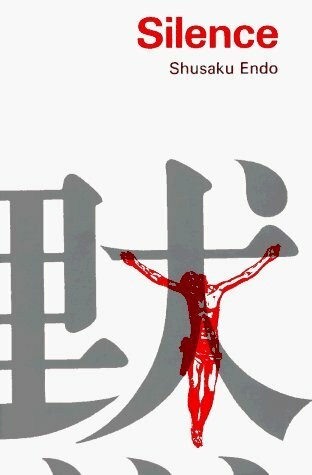 Death Comes for the Archbishop is not really a novel, or a cycle of short stories, but rather it is a sketching– a sketching of a time, people, place and religion. The book focuses on the 19th century missions of Bishop Latour and Father Vaillant– two French Catholic priests who are sent by Rome to deal with the untamed Southwest, which had been left in neglect by the Spanish Catholic authorities for centuries. The actual material of the book is based in fact, and is evenhandedly presented. It is neither hagiography or condemnation of the Church, rather Cather manages to remarkably present a gorgeous story that is well situated in the facts of history. The story explores and grows the friendship of the two men, their work, the people of the land (Mexicans, Indians and whites) and the land itself. There are many things that are striking about this book– the first being that Cather allows the land to be its own character in the book– the land is pulsing with life and meaning, and those undertones richly enhance the stories within the book. Cather’s descriptions of the land are spare, but stunning, much like the actual land itself. Anyone who had travelled extensively through Arizona and New Mexico would realize that right away. What is wonderful about the book is that somehow it manages to hit all of the cultural nuances it contains squarely and sympathetically. Her portrayal of Catholicism is evenhanded–there are good priests and bad priests, those who were greedy and difficult, and those who are humble and pious– it also captures the faith of the people without being condescending– the way they venerate their saints, the local customs and miracles, their own humble ways of living. The people were the living church, as the institution had long ignored them and not served them fully because they lived out on the frontier. Cather also manages to capture the Native indifference and anger towards the Church, and roots it well into the history of cultural and spiritual colonization. All the little nuances here are correct in a stunning way– for instance the matched champagne colored mules that were so highly prized by the wealthy Mexican that Father Vaillant manages to procure– in the Native culture of the Southwest, animals with such a coloring were rare and understood to have “good medicine,” meaning that the rider/owner would come to no harm as long as he cared for and respected the animal properly. And Cather always comes back to the land- the land that stole the hearts of the two Fathers (out in the desert– oh the Biblical parallels are enormous– there is layer upon layer of meaning in this book.) The land that drives men to madness, the land that is so beautiful and savage, the land that gives and takes away. This is a stunning book, I loved it- it goes on the shelf of my favorite books of all time, because to me, a person of the desert, whose ancestors live in a canyon not unlike those described in the book, who has the land in my very blood, to me, the book spoke in a way that few books have. When I was nine my parents took me to Canyon de Chelley, (which Cather talks about in the book) on the New Mexico-Arizona border. Our Dine (Navajo) guide took us through the canyon in an open-topped Jeep and at one point paused and pointed to the top of a Mesa and said “Kit Carson and the government tried to starve us out here in the canyon, and some people surrendered. But some of our people remained, because the canyon had been given to us by the Creator. This is our land, and we are the land. The Canyon is a spiritual place.” At nine years old the canyon look like an extraordinary cathedral of red rock. “God is here.” I whispered to no one. The Dine guide turned and caught my eye, and nodded.